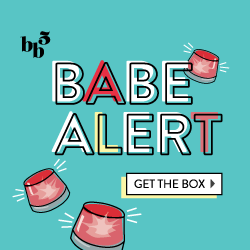 Beauty Boxes (along with food ones) are definitely my favorites, and so i was pleasantly surprised when my October Blush Mystery Box showed up at my door the other night. This is record timing! Usually Blush tends to ship out at the end of the month, but they must have switched it up. Plus, I was dying to see the rest of the products after the spoilers were released. The curator this month happened to be Kimberly Klotz-Kolodziejski,the co-founder of Chella. 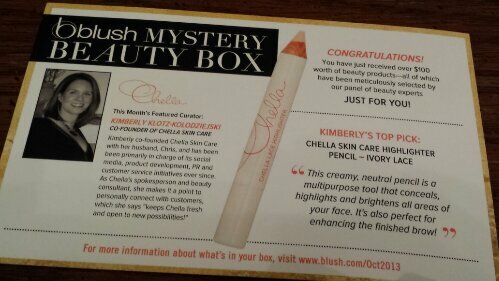 If any of you recieved a June Ipsy Glambag, this is the same product- the Chella Skin Care Highlighter Pencil in Ivory Lace. I love that they include an info card, because it goes into more detail about the products, how to use them, etc. Once in a while, the sample-sized products are either missing info or have slightly smudged labels that I can’t quite decipher. 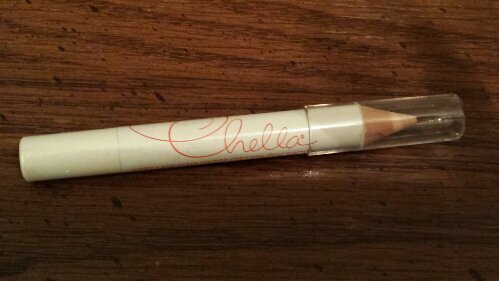 Okay, so first up is the focus item, the Chella Skin Care Highlighter Pencil in Ivory Lace. I think this pencil is great quality and helpful for brightening the inner corners, rims or lids of your eyes. I wouldn’t say I use this daily, but once in a while when I need an ‘awake’ look, or want to make my eyes appear larger than they actually are. I think I would like this more if I hadn’t received it before in another box (see above), but I will either use it eventually or gift it. This item was also released as a spoiler, and let’s just say I was extremely excited to be getting it! 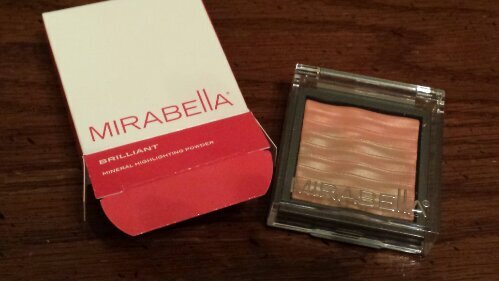 This Mirabella Mineral Highlighting Powder is worth almost $40, and has a pretty high quality name/brand backing to it. In a coral color, I definitely will be using it! It’s a slight mix of coral blush and tan bronzer, so I think it will accent my skin well. 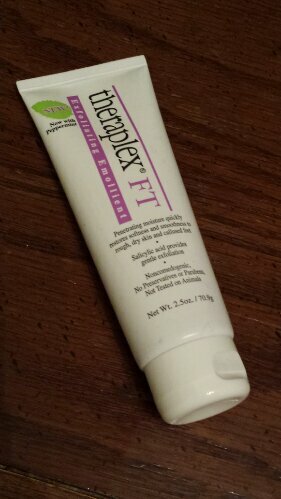 This product is Theraplex FT Exfoliating Ointment, an exfoliating and smoothing foot cream with a fresh, minty smell. I don’t go out of my way to buy body lotions and foot creams, but I’m sure this will come in handy. I think it would be great for any rough heels or calluses, but would probably apply before bedtime due to the exfoliating property and strong scent. This next product was also released in the spoiler video! 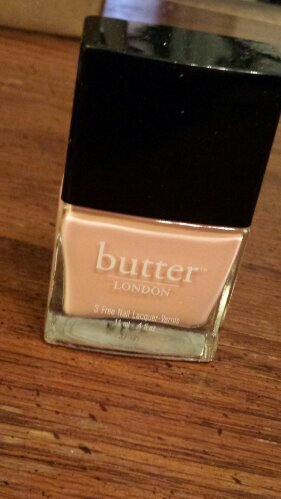 It is butter LONDON Nail Lacquer in Kerfuffle, a lovely light pink color. This is the type of color that seems to match/go with any skin tone, and can be used with a french mani, as a base coat with a design on top, or just as is. butter London also has a great rep for their quality and so I can’t wait to test this out. These two products are sample-size. While I like them for ‘test-a-bility’ (I think I just made that word up…) I do appreciate the full size or deluxe samples much more as I feel like these are often free/cheap to get. However, onto the review!. The white tube is Miracle Skin Transformer Face SPF 20 in medium, a face cream with spf built-in and slight color to it. I’ll send up tossing this in my makeup bag or overnight bag for when I need a facial moisturizer on the go. It reminds me a bit of a BB cream, so we’ll have to test it out and see! 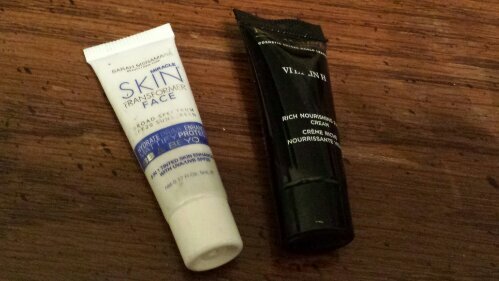 The black tube is Karin Herzog Vitamin H Rich Nourishing Day Cream, an antioxidant and vitamin rich facial cream. I’ve never really used a ‘Vitamin H’ cream and so I’m not exactly sure the different properties/qualities it has. I’ll definitely test it out, but it doesn’t seem like anything special in comparison to other moisturizers I’ve used. Just to be honest, I’m not a big lipgloss fan. It really needs to have some special oomph or quality for me to like it and use often. 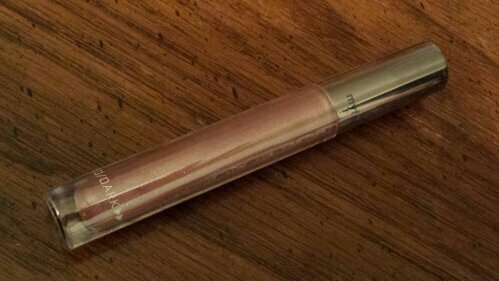 This product is called MyFace Cosmetics Lip Pop Gloss in Hot in Here, a tone made for medium-skin tones. If it was another shade, I would test it, and so I will probably gift this. Any gloss that is sticky/stays glossy is just not for me. This product seems totally cool. It’s a deluxe sample size Talika Lipocils Expert serum. You’re supposed to apply it to the base of your eyelashes (lash line) as well as on clean, mascara-free lashes. 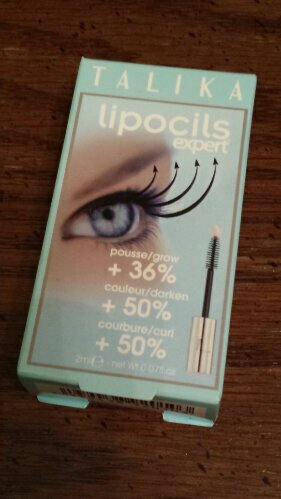 While I wish this had the mascara-style want as shown in the picture (it only has the tip applicator) I will definitely try it out and see if it works. While many have written that they’re nervous to try it, I actually tested it a night ago, applied on bare lashes/lash line before bed. No huge change yet, but I’m going to continue to apply! And of course, the freebie samples! 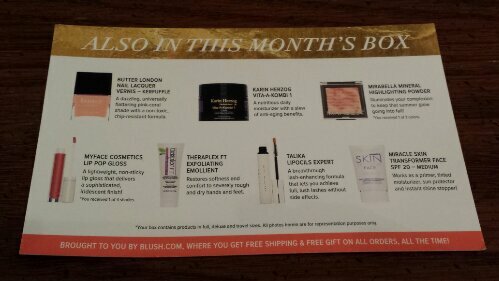 They included Dremu Oil, which I’ve received before and actually LOVE. I’ve been applying it to my face after showering/exfoliating before bed and it makes my skin glow. Especially if you have any dry patches, it helps to smooth and heal them. 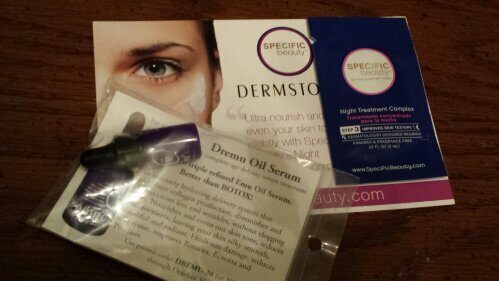 The other product is called Specific Beauty Night Treatment Complex, which I believe is a smoothing, retinol style nighttime cream. 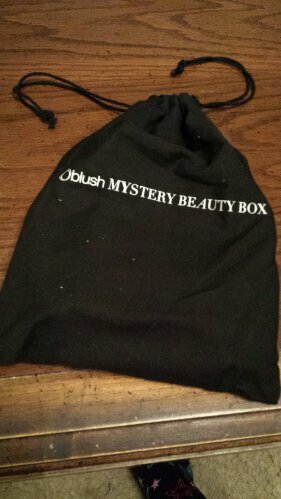 So here are all my items from my October Blush Mystery Box! 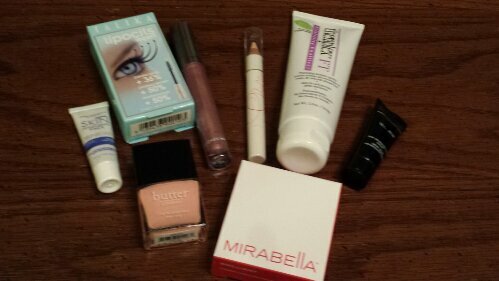 I’d say I’m pretty happy with it, minus the repeat item and the little so-so sample skin care products. I can’t wait to use the butter London Polish and Mirabella Bronzer most of all!